Made of polyester cotton canvas. With a height of 41cm x width of 37cm and breadth of 10cm. 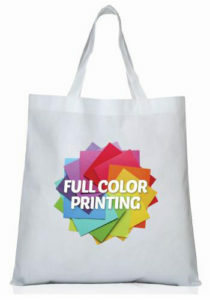 Our bag is ideal for your events as a goodie bag and personal use. As long as you can design, we can print anything you want.